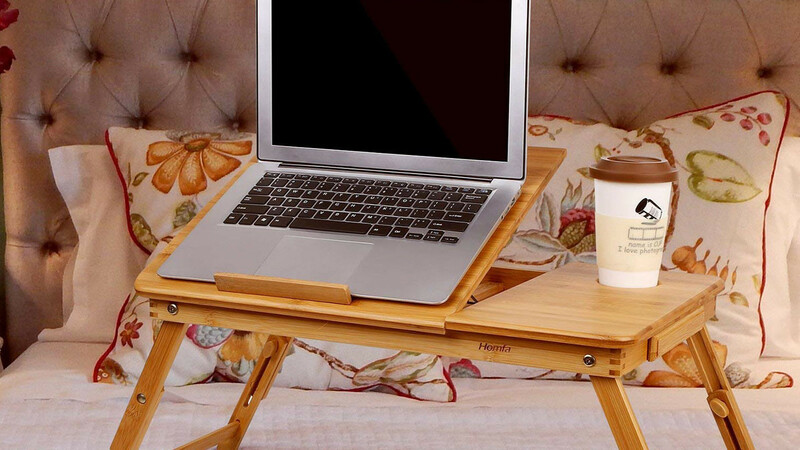 This adjustable tilted bamboo laptop desk can be used for many things. It is very versatile as a laptop stand because you can adjust the angle. You could also use it as a portable desk for writing, reading, study, using your iPad, or serving food. This unique desk has adjustable legs and an adjustable tray. Attached to the tilt tray there is a guide that will stop your books or electronics from slipping out of place. There is a small drawer that can be used to store useful items such as pens. This eco-friendly little desk is a great option for when you are away from home.